Resting on the banks of the Sand River in the game-rich Sabi Sands Game Reserve is the luxurious, five star, Singita Boulders Lodge. 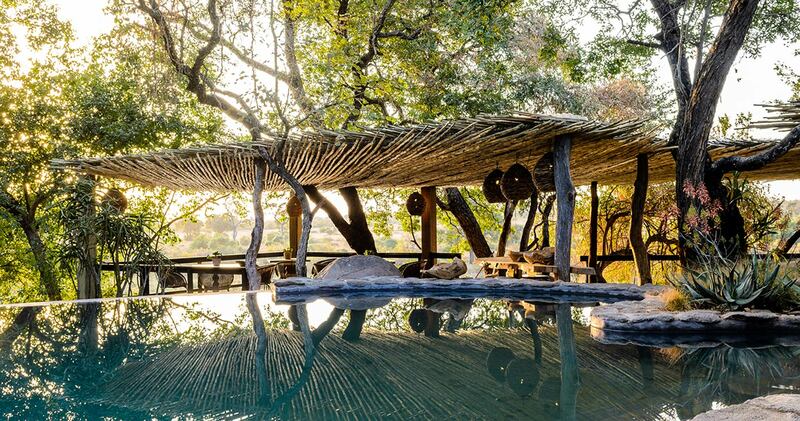 Built around an enormous boulder, hence its name, Singita Boulders offers magnificent wrap around views of the rich bushveld and Sand River wildlife activity. Singita Boulders boasts twelve magnificent, glass fronted suites with two double suites available for families. 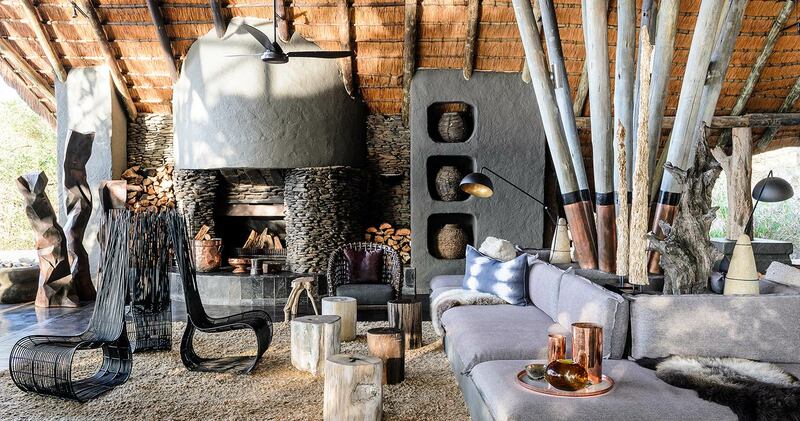 Sophisticated interiors in this contemporary lodge include earthy colours, textured fabrics, wooden furniture and natural stone. The luxury suites are air-conditioned; consist of sumptuous bathrooms, indoor and outdoor showers, an expansive living area with double-sided fireplace, mini-bar and fridge and private wooden leisure decks with a heated plunge pool. Impeccable attention to detail means nothing is absent from these stylish suites. With an air of authentic African tranquility the thatched, open sided lounge and lookout deck at the main lodge offer a perfect river view. There is a bar area, world class wine cellar, traditional open boma, gymnasium, health Spa and library. Activities at Singita Boulders include twice daily game drives, morning and afternoon; guided safari walks (on request), mountain biking and archery. The entire Singita Boulders experience was incredible. From the room to the food, it was top-notch. Our guide and tracker were excellent. Our valet and waiter were equally wonderful. 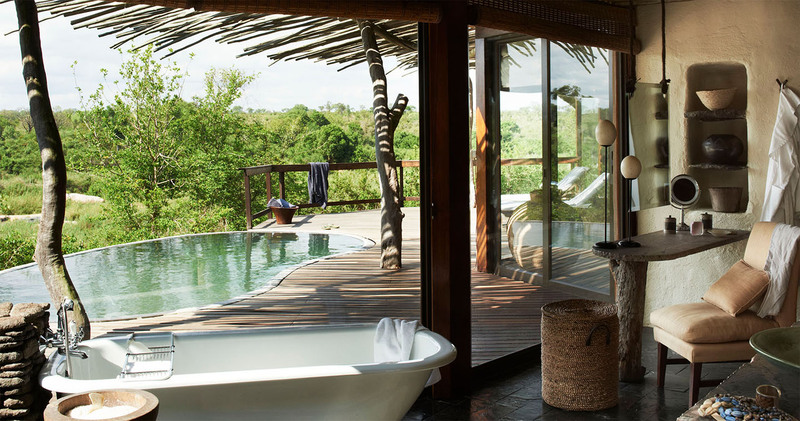 We heartily recommend Singita and look forward to returning. There was not a single area where the experience was less than 5-star. If I have ever been impressed by attention to detail, this is the place. We also stayed at Royal Malewane (Elton John and Oprah stay there), and found it a second class citizen to Singita. 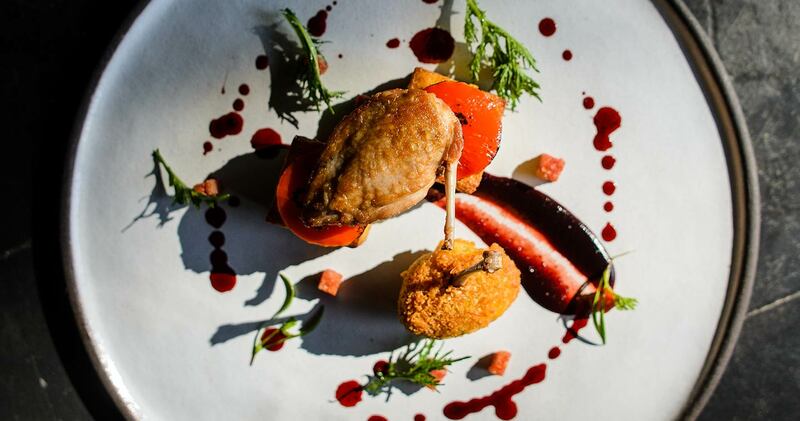 Singita asked our food preferences before we arrived and honored them. Our waitress had our drinks ready within seconds of us sitting down. I shouldn't give this away in case you go when I go back but the team of Johann and Jonathan, driver and tracker was unbeatable. We saw EVERYTHING, even a leopard drag a fresh kill up in to a tree to avoid a hyena, a lion freshly gorged on a kudu, belly so full he couldn't move, to beautiful birds, and Johann knew them all. The rooms were perfect, not just good, perfect. The food was to die for. Will never go to a different camp. 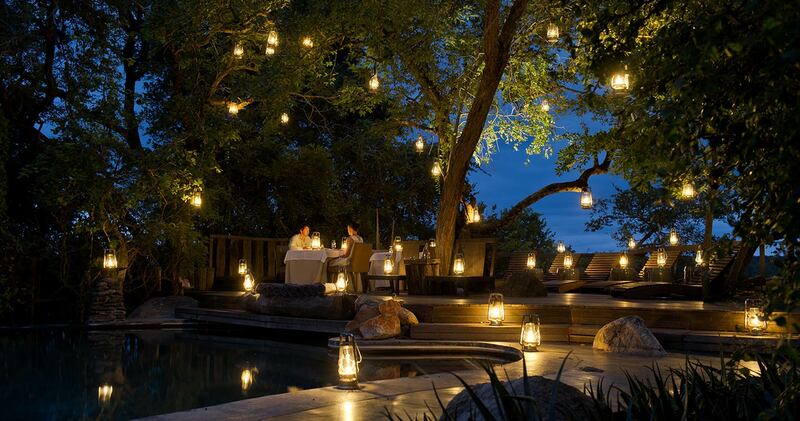 A staggering 95% of Singita guests staying at Boulders Lodge rate the lodge as excellent on TripAdvisor. Please note: A single supplement only applies if 3 single rooms or more are booked. 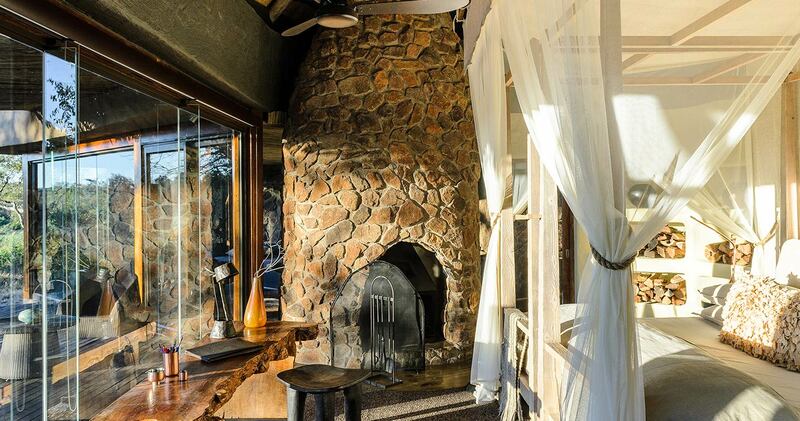 Read all about travelling to Singita Boulders Lodge on our getting to Sabi Sands page. Children ten years and over are welcome at Singita Boulders. Children 10 - 16 years pays applicable rate when sharing. Children accommodated in their own suite will attract the full adult rate. 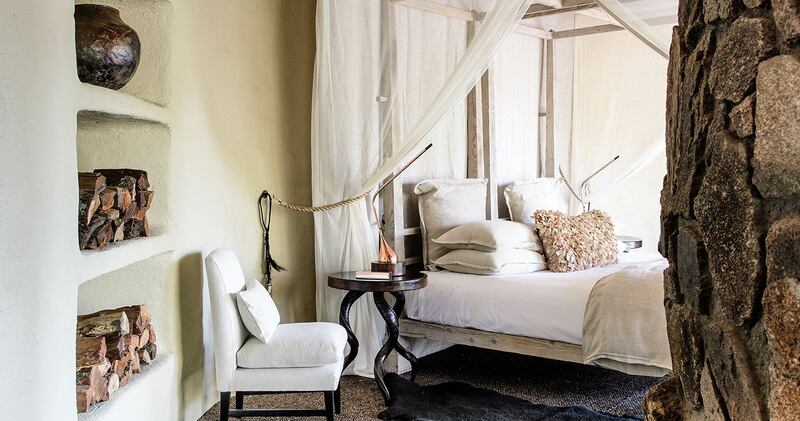 We hope you have found all information needed to decide that Singita Boulders Lodge in the Sabi Sands Game Reserve is the perfect place for your next travel adventure. Please fill in the contact form and we will get back to you soon!